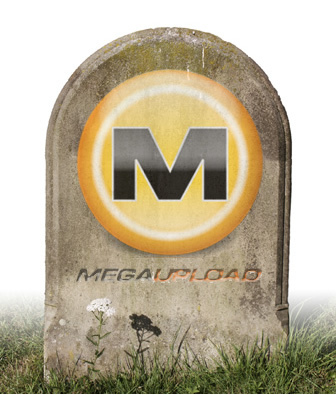 The innocent users of Megaupload who lost their data, personal files and documents as a result of the US Government's action against the file-sharing service in January remain unable to access them, for at least the foreseeable future after the Department of Justice filed a motion to deny the request of a former user of the service to return his football videos. With heavy backing from the Electronic Frontier Foundation (EFF), Kyle Goodwin filed a motion demanding a workable solution be found for the release of his work-related material, as well as the data of other former users of the service. However, the court decided that returning the precious videos to Goodwin would set a bad precedent, according to court documents obtained by CNet. The US Attorney's Office for the Eastern District of Virginia asked the Federal Court to deny Goodwin's request on the grounds that the court had already heard his request and he'd already been given all the relief he was entitled to. "Mr. Goodwin's proposed solution is to have the government bear the financial cost of restoring his data," the U.S. Attorney's office wrote in its filing, "even if that means releasing assets of the defendants which are subject to mandatory forfeiture. Twenty-three years ago, the Supreme Court made clear that a criminal defendant does not have a right to use someone else's money to finance his defense." Goodwin was also informed that the US Government was in no way responsible for his loss of data, despite yanking down all of Megaupload's servers as part of its criminal investigation. Instead, Goodwin has been told he should sue Megaupload, or its hosting providers for breach of contracts to recover his loses. What makes the situation considerably worse is that Carpathia Hosting is growing increasingly unhappy at footing the $9,000 daily cost of keeping the 1,103 servers containing around 28 petabytes of data leased by Megaupload. The hosting company had previously offered to sell the servers complete to the ill-fated firm for $1,000,000, but who exactly will foot the continually increasing bill remains unresolved. Interestingly, the MPAA said at the end of last week that it was happy for the data of innocent users to be returned to their rightful owners, as long as copyrighted material was not released as part of that process.